Everyone thinks they know the real Gordon Ramsay: rude, loud, pathologically driven, stubborn as hell. But this is his real story! 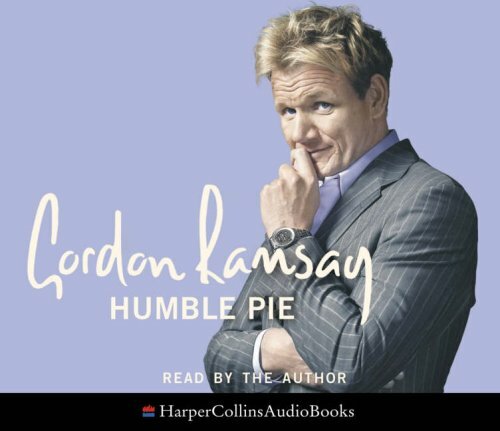 This is Gordon Ramsay's autobiography -- the first time he has told the full story of how he became the world's most famous and infamous chef: his difficult childhood, his brother's heroin addiction and his failed first career as a footballer: all of these things have made him the celebrated culinary talent and media powerhouse that he is today. Gordon talks frankly about: / his tough childhood: his father's alcoholism and violence and the effects on his relationships with his mother and siblings / his first career as a footballer: how the whole family moved to Scotland when he was signed by Glasgow Rangers at the age of fifteen, and how he coped when his career was over due to injury just three years later / his brother's heroin addiction. / Gordon's early career: learning his trade in Paris and London; how his career developed from there: his time in Paris under Albert Roux and his seven Michelin-starred restaurants. / kitchen life: Gordon spills the beans about life behind the kitchen door, and how a restaurant kitchen is run in Anthony Bourdain-style. / and how he copes with the impact of fame on himself and his family: his television career, the rapacious tabloids, and his own drive for success.